Rust en Vrede Shiraz Stellenbosch 2011 ($32): Full body with rich fruit flavors of blackberry and plum mixed with chocolate and spice, with fine tannins on the extended finish. As with its southern hemisphere cousin Australia, it is in the South African tradition to use the term Shiraz for the Syrah grape, which found its way to South Africa relatively recently but now comprises some 10 percent of the nation’s fine wine vineyards. 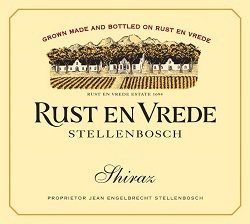 This wine from the Rust en Vrede estate also received a 91-point rating from the Wine Spectator.